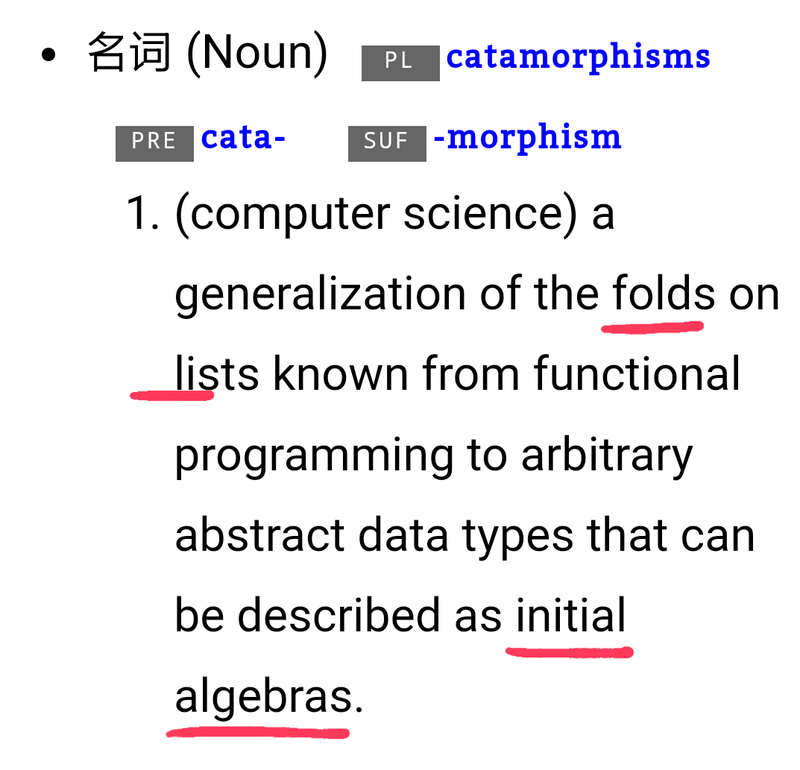 Data Immutable : remember how it was constructed. 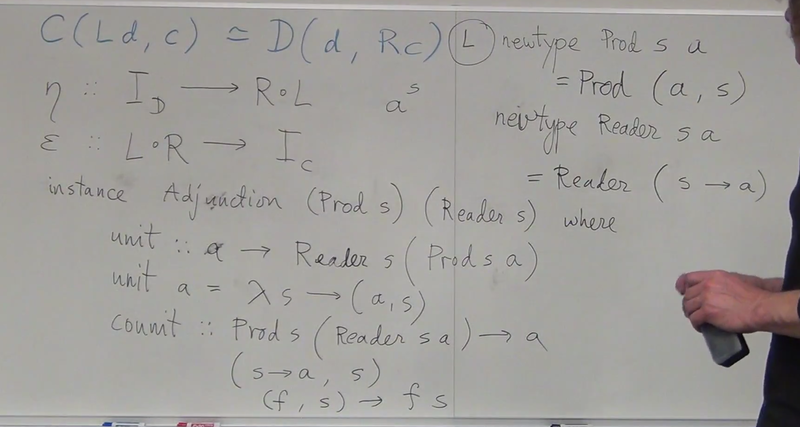 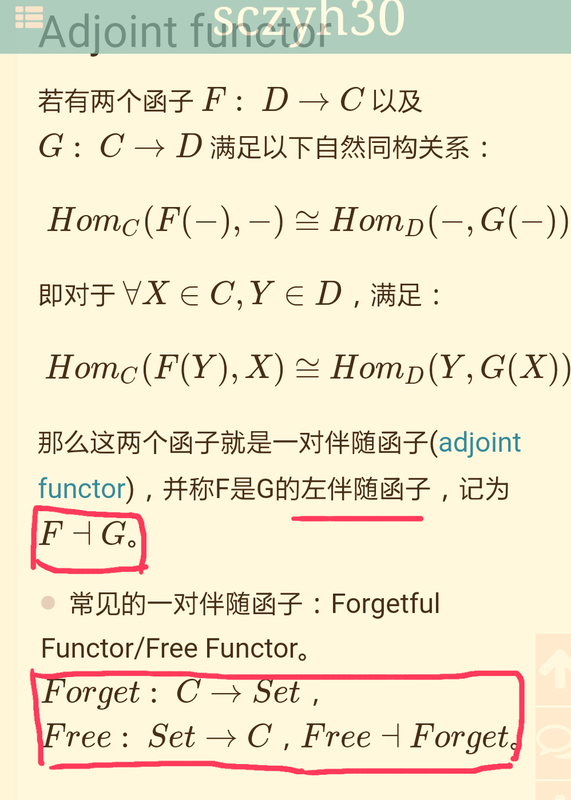 All data (Types) are formed by only 2 methods : Product or Sum. 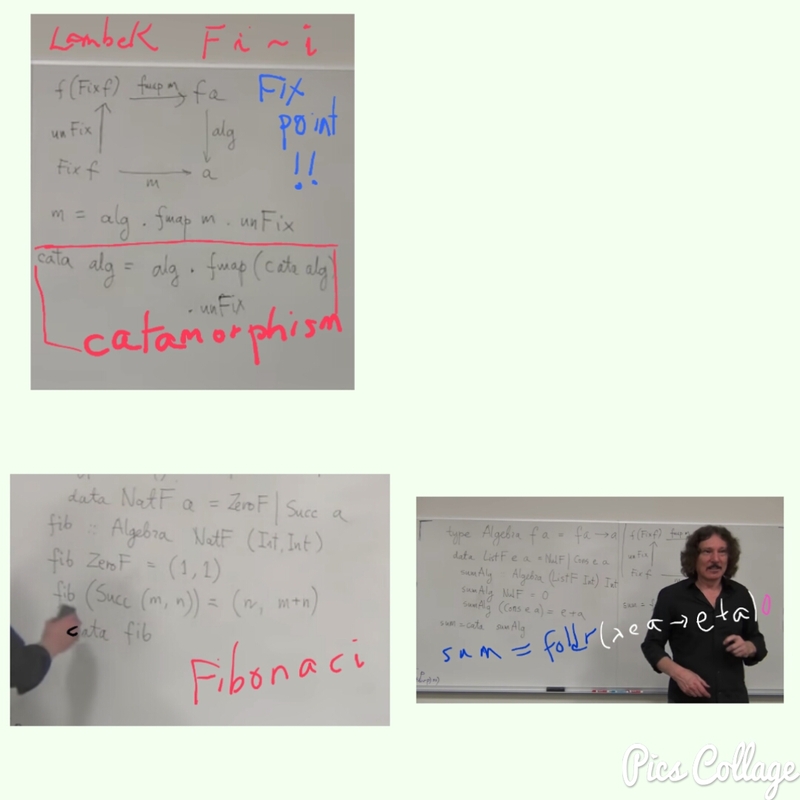 Comonad & coalgebra – compatible? 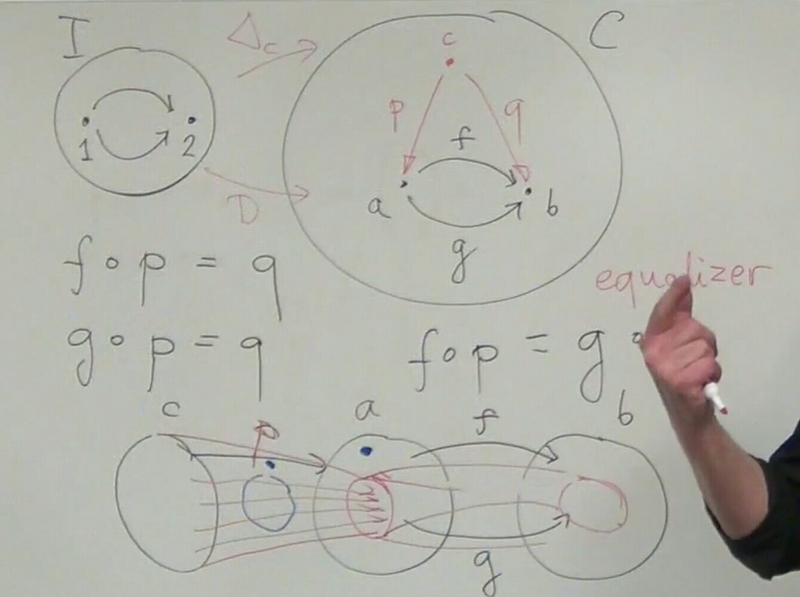 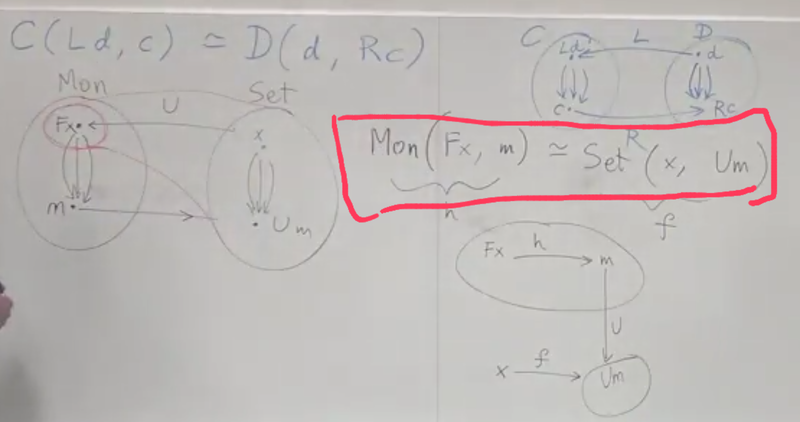 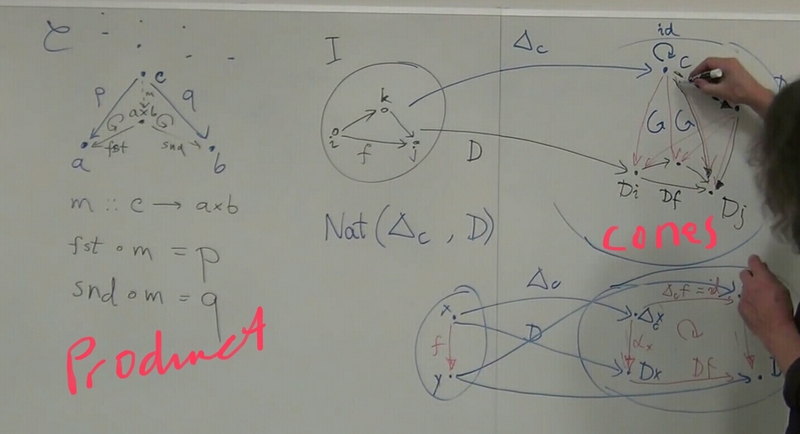 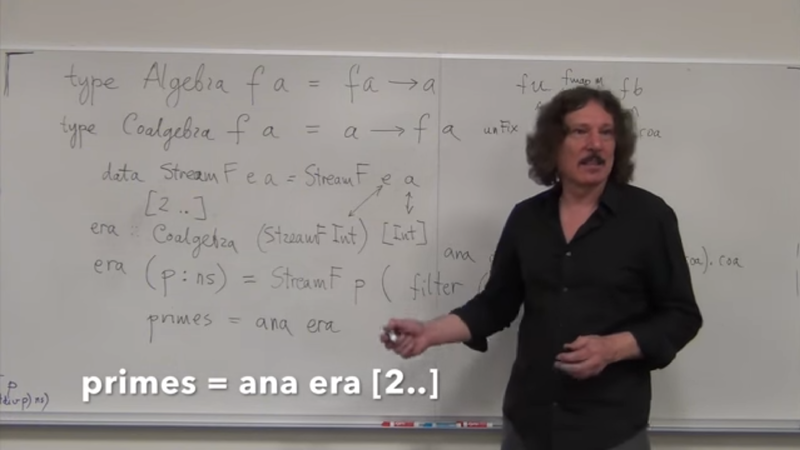 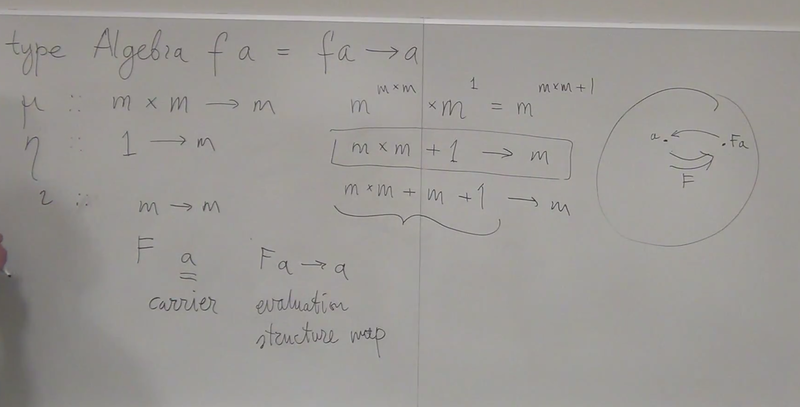 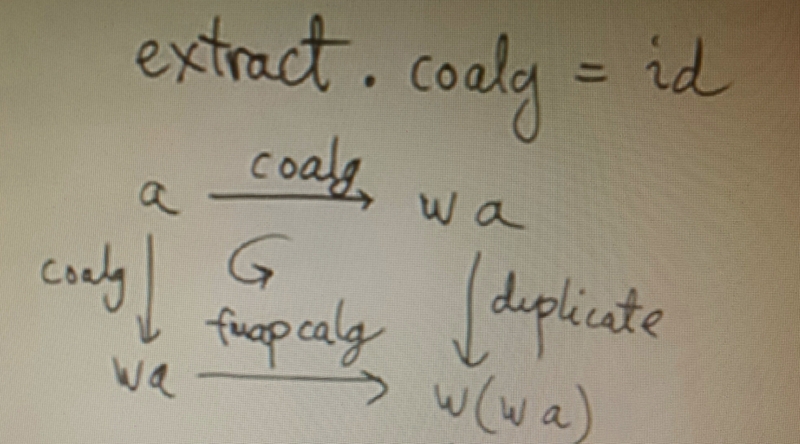 Adjunction is the “weakening of Equality” in Category Theory. 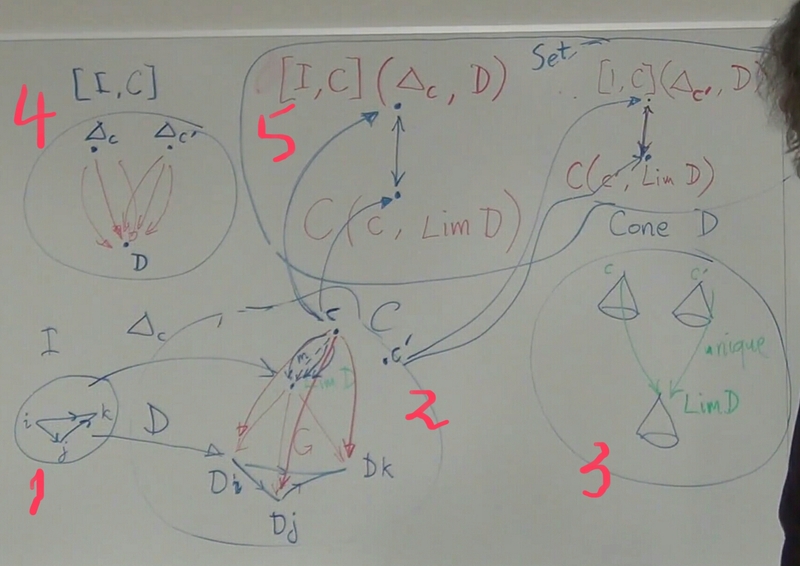 5.2 Adjunction definition: such that the 2 triangle identities below ( red and blue) exist. 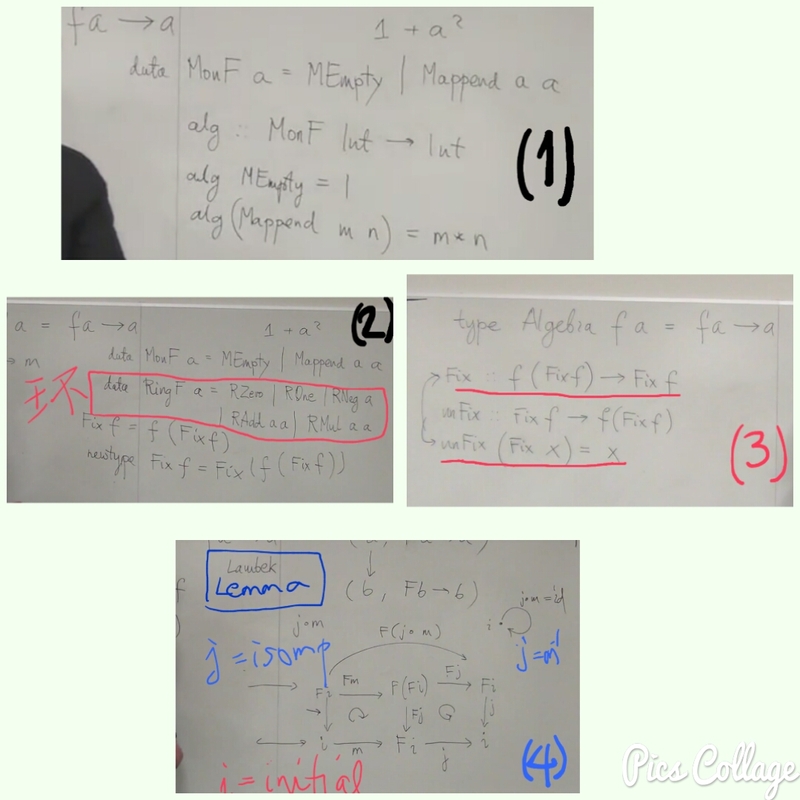 6.1 Prove: Let C any category, D a Set. 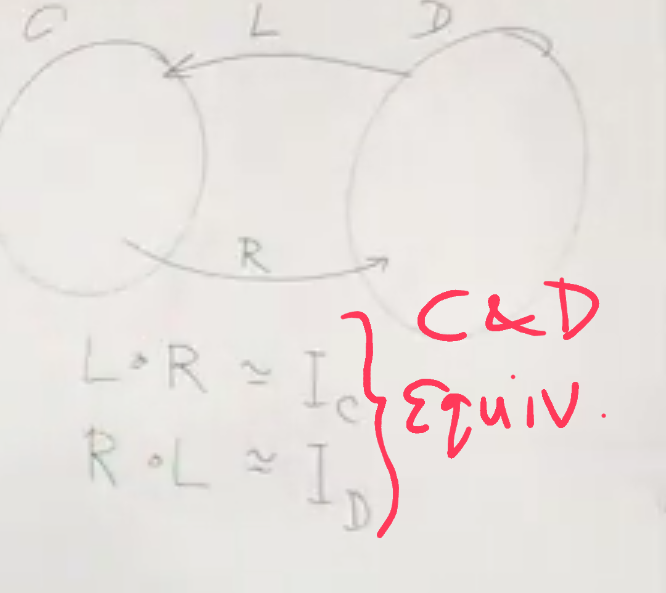 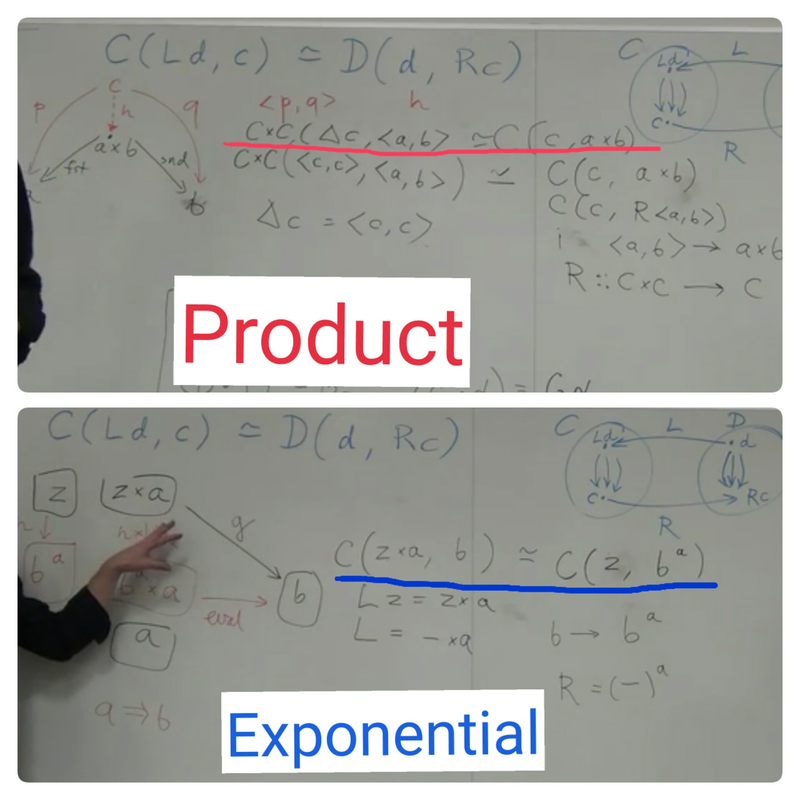 Note: Adjoint is a more powerful concept to understand than the universal construction of Product and Exponential.